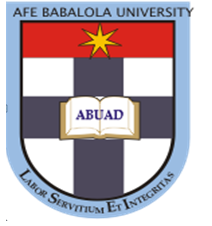 Afe Babalola University, Ado-Ekiti (ABUAD) Postgraduate Admission Form, Courses, Admission Requirements, Duration, Application Guidelines for 2019/2020 Academic Session. Applications are invited from suitably qualified candidates for admission into the Afe Babalola University, Ado-Ekiti (ABUAD) postgraduate programmes for the 2019/2020 academic session. SEE ALSO: ABUAD Post-UTME & Direct Entry Admission Screening Form 2019/2020. All candidates must have minimum of five credit passes including English, Mathematics and three other relevant subjects to proposed course of study at ‘O’ Level (WAEC, NECO, GCE, NABTEB and IGCSE). Candidates with Bachelor’s degree from any NUC approved University must obtain a minimum of 3rd Class degree in the relevant discipline. Holders of HND in relevant programmes from approved Institutions with a minimum of Lower Credit may also be considered for admission. a) A Bachelor of Laws degree from an approved university with a minimum of Second Class Honours Lower Division. b) A minimum of five (5) credit passes, including English Language and Literature in English, at not more than two (2) sittings in SSC/GCE Ordinary Level or its equivalent. c) A minimum of two positive references as to character and learning must be submitted by the applicant. At least one of the references must be obtained from the applicant’s former undergraduate law lecturer. The College of Law Postgraduate Committee may, in addition, conduct a qualifying examination for applicants for the purpose of admission. All candidates must have minimum of five credit passes including English, Mathematics and three relevant subjects to proposed course of study at ‘O’ Level (WAEC, NECO, GCE, NABTEB and IGCSE). Candidates for professional Master’s degree programme must obtain a minimum of Second Class Lower Division in the relevant discipline of Afe Babalola University or equivalent of any other University approved by the National Universities Commission (NUC). Candidates with university degree in Third Class or HND plus a university PGD at credit level pass, (i.e., CGPA of 3.0/5.0) or 50% on weighted percentage average may be considered for admission into professional Master’s degree programmes. All candidates must demonstrate adequate intellectual capacity, maturity and effective decision making and problem solving potentials. Candidates with Bachelor’s degrees from the relevant discipline of Afe Babalola University or equivalent of any other University approved by the National Universities Commission (NUC) must obtain a minimum of second class lower division with a CGPA of 2.5/5.0 for an academic programme. Candidates with at least a third class degree or HND and university PGD in the relevant discipline of AfeBabalola University or equivalent of any other University approved by the National Universities Commission (NUC) with CGPA of 3.0/5.0 may be considered for admission into academic Master’s degree programmes. Postgraduate Application form is N10, 500 and to be paid into the Postgraduate School Account Number. MAIN CAMPUS: AFE BABALOLA UNIVERSITY [ABUAD], ADO-EKITI, KM 8.5, AFE BABALOLA WAY, ADO-EKITI, EKITI STATE. IBADAN OFFICE, EMMANUEL CHAMBERS: 80, FAJUYI ROAD EKOTEDO, IBADAN. ABUJA OFFICE: EMMANUEL HOUSE, 24, MADEIRA STREET, IMANI ESTATE, MAITAMA, ABUJA. LAGOS OFFICE: EMMANUEL HOUSE, PLOT 1, BLOCK 4, CMD/JUBILEE ROAD, MAGODO GRA, LAGOS. PORT-HARCOURT OFFICE: EMMANUEL CHAMBERS, 7, ABA ROAD, LEVENTIS BUS STOP, PORT-HARCOURT. WARRI:MONTESSORI INTERNATIONAL SCHOOL, 66, AIRPORT ROAD, OPPOSITE DELTA CAREER COLLEGE, WARRI. NOTE: That Bank Tellers are to be presented at the designated selling centers for collection of Application Forms. Application Forms will also be available on the day of screening at the Screening Centre. 1. Because of FRUADSTERS, Applicants should call the following contacts ONLY 08127772121, 08034402771, 07039647532, 08038521163, and 08033509150 and do not ENTERTAIN ANY CALL from ANYBODY DIFFERENT from the Phone Numbers listed above.